Following a meeting of the Economic Coordination Committee (ECC) on Monday, Minister of Petroleum Ghulam Sarwar Khan broke down the increase in gas prices across the country for media personnel. 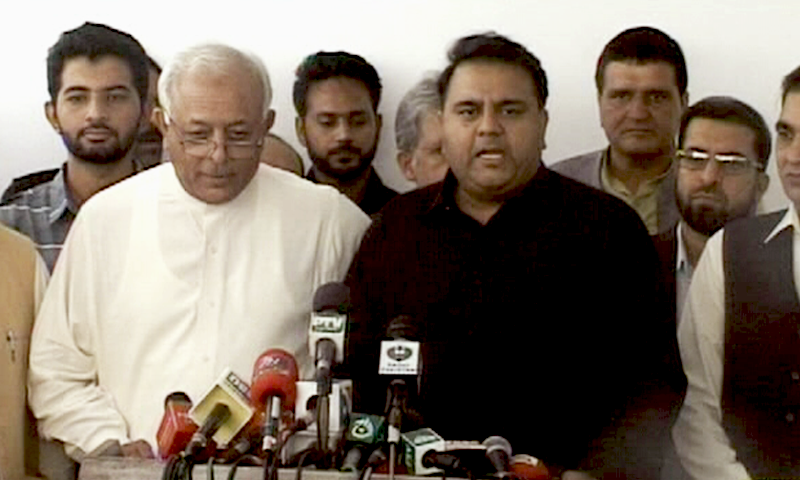 Flanked by Information Minister Fawad Chaudhry, Khan explained that the government had categorised gas consumers into seven slabs instead of the pre-existing three to spread the impact of the gas price hike progressively. The first slab, which comprises nearly 38pc of the consumers, groups together people who consume upto 50 cubic metres of gas per month. This category of customers will experience a nearly 10pc increase in gas prices, which the minister illustrated by explaining that the bill for a customer who pays Rs252 per month on average will now rise to Rs275. The second slab, comprising users who consume up to 100 cubic metres of gas per month, will have to bear an increase of 15pc in prices. The third slab, comprising users who consume up to 200 cubic metres of gas, will experience a 19pc increase. "The first three slabs comprise consumers from lower and middle class," Khan said. "They will bear a collective increase of 10-20pc in gas prices in the form of a few rupees." The price hike for the "upper class", comprising consumers who use up to 300 cubic metres of gas per month, will be 25pc. This 'upper class', Khan explained, formed 16pc of all consumers. The next category of customers, who use up to 400 cubic metres of gas per month, will have to bear a 30pc increase in gas prices. The category of customers who use more than 400 cubic metres of gas per month will be slapped with 143pc higher tariffs. In all, this would help raise Rs94 billion from end users, the minister explained. He further said that CNG prices for consumers in Sindh and Khyber Pakhtunkhwa had been increased by 40 per cent from Rs700/mmbtu to Rs980/mmbtu. The reason behind this hike, Khan said, was that since the two provinces produce more gas, they had been "enjoying a lower rate" of CNG. Prices in Punjab, he said, were higher because the province was using imported gas. The ECC also approved a 57 per cent increase in gas prices for the commercial sector, a 40-50 per cent increase for the fertiliser sector, a 40 per cent increase for general industry, a 57 per cent hike for the power sector, and a 30 per cent increase for the cement sector. Meanwhile, the ECC has also decided to lift all taxes imposed on Liquefied Petroleum Gas (LPG) — which is used by 60 per cent of the people who don't use CNG — and levy a flat 10 per cent Goods and Services tax on it instead. As a result, Khan said that the price of an LPG cylinder, which was currently over Rs1,600, will decrease to Rs1,400. "On one hand, we are adding a burden of 10-20 per cent [on domestic gas consumers] which is only of a few rupees," Khan said. "But on the other hand, we are providing relief of Rs200/cylinder to the people who are poor and use LPG." Gas prices for "export industries", including jute, carpet, textile, sports' goods, leather and surgical goods, have not been increased. In addition, the subsidised Liquefied Natural Gas (LNG) imported by the private sector will be provided to the zero rated industries, Khan said. This will help the industries compete internationally, he said. "We haven't worked it out yet, but we will be giving subsidies worth billions of rupees on LNG," Khan claimed. "We will be providing relief to our export industries." He said that government had also decided to provide subsidies to domestic industries like fertilizers, etc.